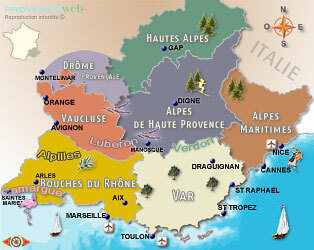 Discover the main cities, villages, Nature Parks and ski resorts of the Provencal Alps (Hautes Alpes) with this interactive map. You will find descriptions of these villages ans areas with pictures, maps and the main things to see and do. Hotels, guest houses, holiday homes or cottages and campsites are also listed, you may be able to contact them through direct links or phone.